Apple has announced that they will begin rolling out the iOS 8.4 update to the compatible devices from June 30, at 8AM Pacific Time. 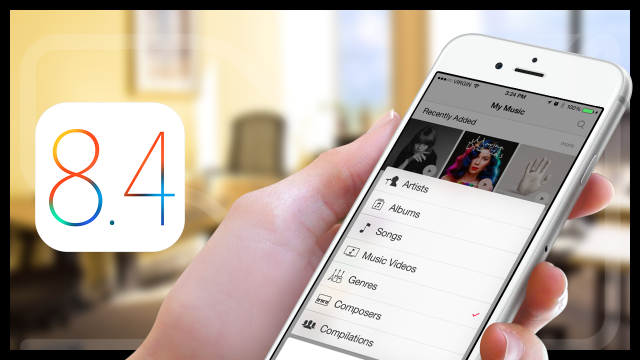 The update will come with a new version of Apple Music, featuring a new music streaming service. At the same time, The Beats 1 Streaming Radio Channel will go live, which will be a 24/7 international radio channel that will feature big DJs names contributing from all over the world. Julie Adenuga will be hosting from London, while Zane Lowe will do it from LA, but there will be others as well. The Apple Music streaming service will be free for the first three months, but once the trial period ends, you will need to pay 9.99 dollars for a single subscription or 14.99 dollars per month for six person subscription. The subscription will also include access to the Apple Connect social media site, where the fans can interact with artists. It is good to know that the bitrates of the stream is variable, depending if your device is connected to a Wi-Fi network or to the mobile data network. iOS 8.4 comes with bug fixes, optimizations and other improvements that will be felt right after you install it on your device. 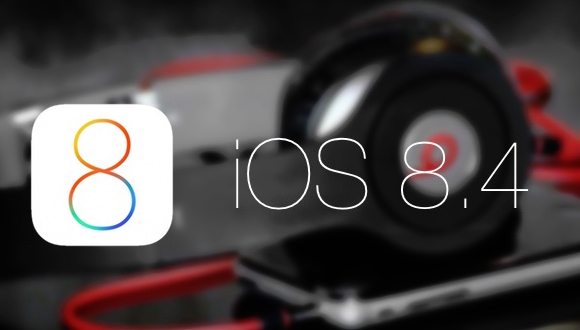 We remind you that iOS 9 release date is getting closer and closer, as it is expected to be released this fall. However, it will most likely take a while until it will be released for all compatible devices. iOS 9 will come with new features such as: public transport mapping services, improved keyboard and more. It is believed that iOS 8.4 will be the last major update for iOS 8. However, in case you are from the UK, keep in mind that Apple Pay is set to be released on July 1, 2015. With other words, the iOS 8.4 will most likely receive a small update for the UK users that will include the Apple Pay. With other words, the people from the UK can already start using the Apple Pay on their iPhone 6, iPhone 6 Plus and Apple Watch devices to buy bus tickers, coffee, food etc. Here is a part of the stores that support Apple Pay: KFC, McDonalds, LIDL, Marks & Spencer, Starbucks, Costa Coffee, Wagamama, Subway, the Post Office and more. It is good to know that there are over 250.000 Apple Pay points all over the UK, which can be used right away. However, keep in mind that for security reasons, all the transactions are limited to 20 British pounds. According to Mail Online, Apple has signed a partnership with UK debit and credit cards from MasterCard, Visa Europe and American Express that are issued by most popular banks from the UK such as: Royal Bank of Scotland, Ulster Bank, HSBC, Santander, NatWest and more.